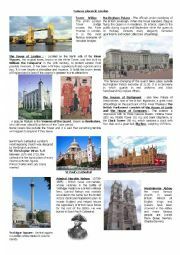 Students have to read information about famous places to visit in London and then answer a multiple choice quiz.Enjoy ! This is a worksheet to review how to introduce and describe someone. 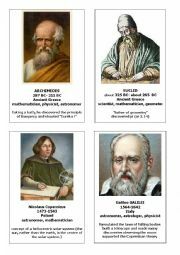 Students have to write a description of different characters according to some given information. Lots of vocabulary and an example are given to help them. It can also be used as a speaking activity. Hop you find it useful. Another set of four cards to work in pairs. Enjou ! 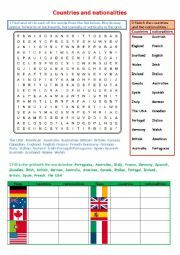 Countries and nationalities worksheet activities : wordsearch + key, matching exercise and writing. 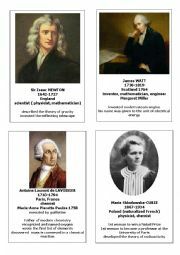 Hope you�ll find it useful. Classroom objects with sounds. What�s this/that ? What are these/ those ? Hope you find it useful.